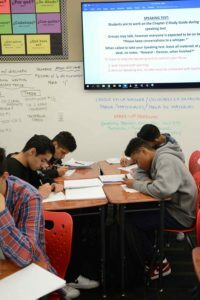 The recent release of academic data highlights how San Benito High School is helping students make significant strides academically while closing opportunity gaps for a variety of student groups, including those traditionally underserved in the migrant, special education and socio-economically disadvantaged categories. The data, from multiple sources, shows students are achieving academic growth compared to state and global peers through improvement in multiple categories. The October release of Advanced Placement data showed that SBHS students outperformed both the state and global passing rate averages for the second consecutive year in AP courses including English Literature, European History, U.S. History, Psychology, Spanish Literature, Studio Art and French. More than a quarter of the approximately 3,000-student population is enrolled in at least one AP course in the 2018-19 school year, continuing a five-year trend in which enrollment in the 19 courses offered on campus has increased by 351 students. 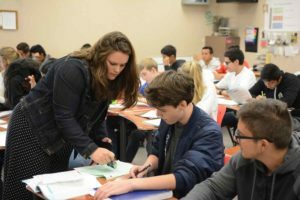 The number of AP exams taken has increased by nearly 500 over the past half-decade and seven of SBHS’s AP courses now have an enrollment of 100 or more students. What’s more, there is no disproportionality in the percentage of white and Hispanic students enrolled in AP courses compared to the overall school enrollment. The school commits $20,000 annually to help students offset the $94 cost of taking AP exams and Superintendent Dr. Shawn Tennenbaum said the district intends to increase that number by $5,000 this year to help even more students for whom affording paying for the tests may be an obstacle to taking them. 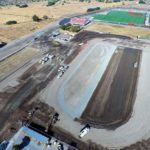 With that financial assistance, Ramirez said, “our district has made a notable impact in removing a significant barrier to taking the tests,” which, if passed with a score of 3 or higher out of a possible 5, can provide students with college credit in those subjects, reducing the amount and cost of classes once they get to college. The number of SBHS taking four AP tests has doubled and the number taking five tests has tripled in recent years, according to data released by the school. Thirteen AP courses had a testing rate of greater than 85 percent of students last academic year and every AP Math and English course had more than 90 percent of students take the tests. 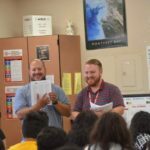 The district has identified certain areas of growth, including the overall passing rates in Math and Science, increased male enrollment in AP courses and a goal to have every AP student take the corresponding test for that class. 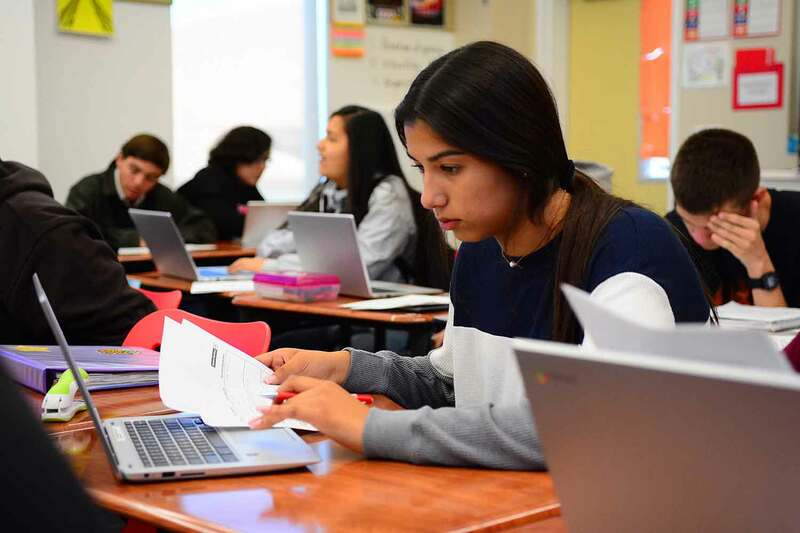 Ramirez said at a recent Board of Trustees meeting that an increased focus on AP classes has and will continue to increase the rigor in non-AP classes as well. 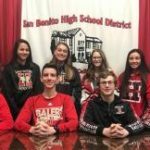 In a recent report to the Board of Trustees on the Smarter Balanced Assessment Consortium (SBAC) testing administered to all 11th-grade students in the Spring of 2017-18, Director of Educational Services Elaine Klauer shared that SBHS students for the first time exceeded the state average in math overall and were above the state average in every student group (Socioeconomically Disadvantaged, English Learners, Migrant, SPED, Latino and White). “This is a big, big deal for our Math Department, for our students, and for our teachers,” Klauer told the board. Students exceeded the overall state average in English Language Arts and scored at or above the state in four out of six student groups. 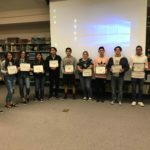 SBHS migrant students continue to outperform the state migrant average by almost double digits in both English Language Arts (ELA) and Math, as they have for four consecutive years. Socio-economically disadvantaged students at SBHS outperformed the state in both ELA (54 to 46 percent) and Math (30 percent to 20 percent). “That’s a huge achievement gap that we’re starting to close,” Klauer said. English Learner students at SBHS moved from zero percent met/exceeded in Math in 2017 to 7 percent met/exceeded in 2018. 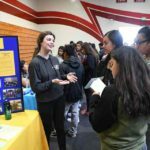 According to more data presented to the Board in October, the percentage of SBHS graduates meeting a-g requirements — the minimum coursework required for University of California and California State University admission — grew 7.2 percent between 2016-17 and 2017-18, including a nearly 10 percent jump for female graduates and 9.3 percent for Hispanic grads. 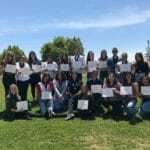 Data shows that SBHS Migrant Education graduates have outperformed the state a-g course requirement percentage for five consecutive years and the number of students meeting a-g requirements grew 15.5 percent. Superintendent Dr. Shawn Tennenbaum noted that the academic success of students is the result of a sustained group effort.